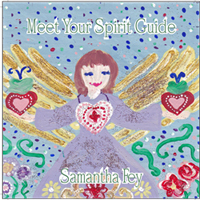 View cart “How To Manifest Miracles” has been added to your cart. Made with sage, myrrh, frankincense, lavender oils, and blessed water, Crystal Clear Spray will help you clear and cleanse your energy. Shake well and spray to remove negativity from your aura. Spray in the morning to start your day on the right foot and at night to ensure sweet dreams. 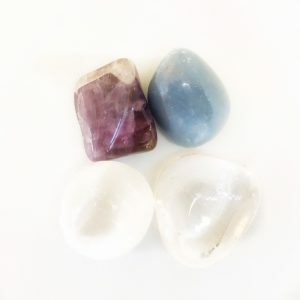 Works to cleanse your crystals quickly. 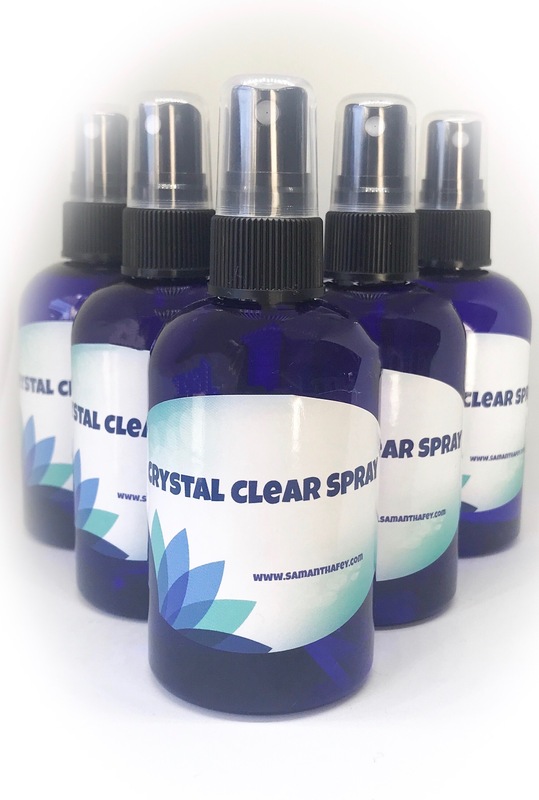 Crystal Clear spray also works great as a room, car, or office cleanser. Spray on your crystals to keep them cleared and ready to work for you. Spray in your office to keep it clear of negative energy. This smells amazing, I like that it’s light and not over powering. It sounds like there maybe loose crystals in the bottle? I keep it at work and so far love it! A very calming, light scent that really brings me back to center balance. Wonderful, clean fragrance.– Jenna H.
I love this spray! I’ve been spraying it everywhere since it was delivered today, smells wonderful and lifts the mood of everyone it touches — Rachel F.
Love this spray! It smells so light and wonderful! She also sent a small bottle of spray for my crystals which also smells amazing! Very thankful! 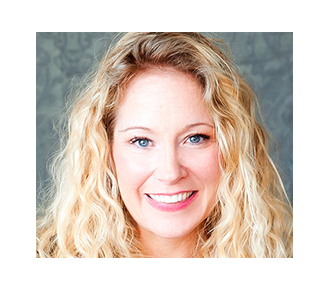 – Meg L.
Smells great and really works to clear away & protect from negativity. — Whitney P.
Love this spray! I’m definitely using this to cleanse my crystals. Thank you! — Melissa. Love the clean smell of this spray. It brightens up the energy of any space. – Renee. Smells wonderful, clean and not overpowering, with little crystals at the bottom for added spiritual mojo. Love it! — Cecilia H.
I have been extremely happy with my bracelets and crystals that I have gotten from Samantha. I wear my bracelets everyday, they are so beautiful. I get her packages super quick. I love that she puts a fortune in each package. Thank You Samantha for such great products, quality and customer service. Just Love You ? ? I absolutely the smell and energy of this spray! I need one for every room, car, and office space I have!